The themes for European Shipping Week 2017 have been formally announced with the competitiveness of European shipping globally and the strategies being developed by the European Union and its respective bodies to foster that competitiveness sitting at the heart of the week’s events and debate. Digitisation and modernisation of the policy framework are indispensable for the maritime sector to become even more quality oriented, sustainable and competitive in the years ahead. These are also the policy priorities outlined by the European Commission in view of recent developments in the sector and of progress in the implementation of the 2009 EU Maritime Transport Strategy. Next year’s European Shipping Week, to be held in Brussels from Monday February 27th to Friday March 3, will offer the ideal platform for both industry and regulators to come together to debate and agree a pathway of these and other issues moving forward. ESW17 will fall under the Maltese Presidency of the European Union and Valetta has already announced that it will focus its maritime agenda on migration and the Mediterranean. Decarbonisation of shipping will also come under discussion during the week, either in the context of the flagship conference to be held on Wednesday March 1st or through a dedicated event. Welcoming the announcement of the week’s theme, Patrick Verhoeven, Secretary General of the European Community Shipowners’ Associations (ECSA), said representatives from the European Commission, European Council of Ministers and the European Parliament together with senior representatives from the European and global ship owning, chartering, ship management, legal, banking and maritime services sectors would be present in force. “It is not often industry gets the chance to discuss such key issues with such high level law-makers. To accommodate both the short and longer term agenda for EU shipping policy, it is proposed that the main conference works around a format that alternates plenary sessions on major political questions with break-out sessions that go more in-depth into the concrete topics of the EU shipping policy framework that is taking shape as a result of the mid-term review of the EU Maritime Transport Strategy. The breakout sessions will especially emphasise the strategic angle and the overall policy objectives,” he stressed. The European Commission, through DG MOVE, has endorsed European Shipping Week 2017 and formal patronage is already being sought from it as well as the European Parliament and the Council of Ministers. 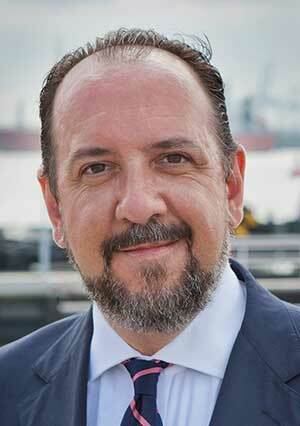 The initiative, which was started in 2015 by the European Community Shipowners’ Associations (ECSA), will be run by a Steering Group made up of Europe’s main shipping organisations as well as the European Commission and Shipping Innovation. The shipping organisations involved on the Steering Group include: ECSA; Cruise Lines International Association (CLIA) Europe; European Community Association of Ship Brokers and Agents (ECASBA); Interferry; the European Dredging Association (EuDA); the World Shipping Council (WSC), the European Transport Workers’ Federation (ETF), the European Tugowners’ Association (ETA) as well as the European Maritime Pilots Association (EMPA). Other European shipping associations may also be invited to support the initiative and hold relevant events during the week.